Steamboat Springs, Colorado, is not only a fun destination for outdoor lovers, but also home to great attractions and restaurants. Hiking is a must in the summer, along with horseback riding and romantic walks through the beautiful Yampa River Botanic Park. Top things to do in Steamboat Springs, CO, include Strawberry Park Hot Springs, the Tread of Pioneers Museum, the Steamboat Art Museum and performances at the Steamboat Symphony Orchestra. Take a short walk from downtown Steamboat to reach true mountain wilderness, where the clear alpine water from Fish Creek Falls spills down 280-ft Fish Creek Canyon in spectacular fashion. 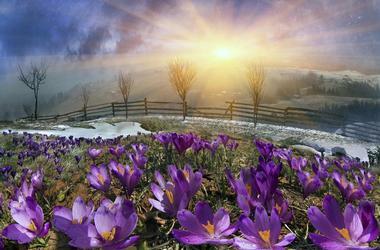 Vacationers enjoy hiking, snowshoeing, photography, and ice climbing. During the summer a picnic with a view is a given. The Routt National Forest requires a longer hike and is well worth the extra effort. Once the falls are frozen in the winter, they attract ice-climbers. Many great tours are available in the area which will take you to the best spots. If you are looking for great things to do in Steamboat Springs with kids, this is a beautiful spot to visit. Steamboat Ski Resort, located on Mount Werner Park Range in the Routt National Forest, is one of the largest ski resorts in Colorado. Steamboat Ski & Resort Corporation in Steamboat Springs operates this popular resort located just outside Steamboat Springs. Its fine snow has been dubbed Champagne Powder and is the major draw. 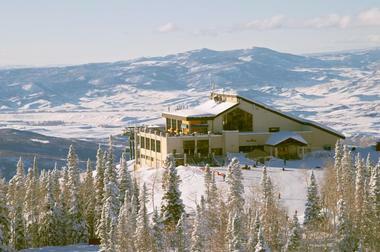 Skiing at this resort will give you access to seven mountain peaks with views of the Yampa Valley. The ski area has 165 main trails on 2,965 acres. Almost twenty percent are suitable for beginner skiers, while the rest are designed for intermediate and advanced skiers. In addition to skiing, you can go exploring on snowshoes, go on a romantic sleigh ride, try snowmobiling, snow kiting, snowcat skiing, and ice fishing. Non-skiers can take a gondola ride for a very different view of the slopes. Located in downtown Steamboat Springs on Lincoln Avenue near the Yampa River, the Steamboat Art Museum was established in 2005. Housed in the historic First National Bank building, the museum’s goal is to collect and show artwork to the public. It's a great Steamboat Springs attraction for couples and families interested in the art and culture of Northwestern Colorado. Where to stay in Steamboat Springs: Chalet Val d'Isere and Aspen View Lodge. A modest community ensemble became the Steamboat Symphony Orchestra started in 1991. Since then, it has been transformed into a thriving, well-respected orchestra by the members’ talent and enthusiasm. Made up of local professionals with plenty of talent and experience, SSO also includes a String Quartet and a Woodwind Quintet. Performances can be enjoyed at various events in Steamboat Springs and elsewhere. If you are looking for great things to do this weekend, check the performance schedule. The Steamboat Symphony Orchestra has a well-organized music education program for both children and adults, and is well loved by the community. Programs include Youth Music Immersion Weekend and traditional string education programs which have scholarships available. 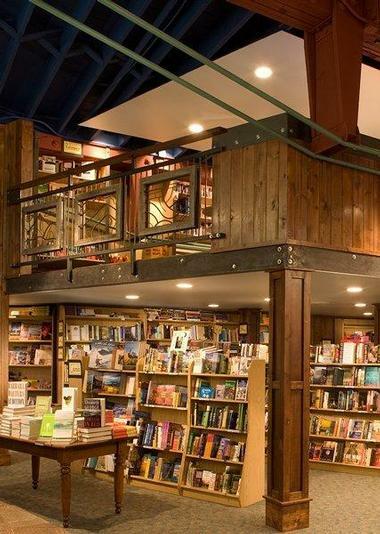 Off the Beaten Path in downtown Steamboat Springs is a charming bookstore where you will find a good selection of books and excellent coffee. They stock all book genres: NY Times best sellers, fiction, memoirs, history, young adults, Indie books. There is a cute kids’ book corner for their youngest readers and a large selection of children literature. There is no better way to see Steamboat and its stunning scenery than from the Scenic Gondola - it's a great trip to take for families and couples. This 8-passenger comfortable and enclosed gondola rises up the slopes of Mount Werner and is one of the top tourist attractions in Steamboat Springs. Along the way, you can see how the vegetation changes with altitude, and look for a deer or rabbit. In the fall, admire how the aspens turn colors. 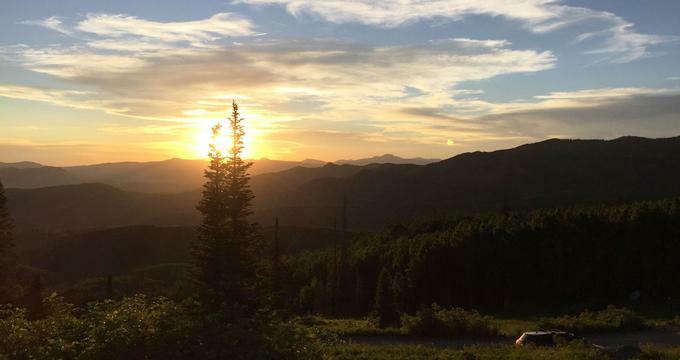 At the end of the ride, there is a spectacular view from the Oasis Sun deck of the Yampa Valley and see Sleeping Giant Mountain and Flattops Wilderness. Hike along one of many trails, rent a mountain bike, or find a scenic spot for a romantic picnic. More Colorado destinations: 25 Best Things to Do in Boulder, Colorado. The Yampa River Botanic Park is a six-acre botanical garden situated at an altitude of 6,800 feet on Pamela Lane just outside of Steamboat Springs. The park contains a number of unique gardens that thrive in the region, including the Butterfly Garden, the Culinary Herb Garden, the Children’s Garden, the Hummingbird Garden, and many more. If you are looking for romantic things to do in Steamboat Springs, don't skip this park. More travel: 30 Best Anniversary Vacation Ideas. If you are looking for free things to do in Steamboat Springs, Yampa River Core Trail is 7.5 miles long and located along the Yampa River and runs from one side of Steamboat Springs to the other. The trail is paved and appealing to people of all ages: you can either walk or ride a bicycle on the scenic trail. Wooden bridges cross over the Yampa River along the way, and visitors often stop on the bridges to see rainbow trout in the river. Floating down the river on an inner tube is another popular activity in this area. Along the trail, you can view the Alpine Slide and the Yampa River Botanic Park. Strawberry Park Hot Springs is a collection of natural hot springs where people can swim year-round. You will find the springs on County Road #36 along Hot Springs Creek just outside of Steamboat Springs. The mineral water is 104 degrees, and it is enjoyable after a long hike and in the winter when snow is falling. 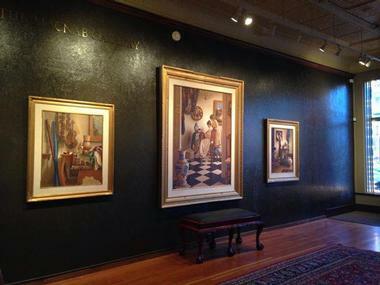 More travel: Great Museums in Boulder, CO. The Howelsen Ice Arena is an Olympic size ice arena that is home to the Steamboat Springs Figure Skating Club and other organizations. It is located on Howelsen Parkway near Howelsen Hill Ski Area just across the Yampa River. This is Colorado’s only arena that allows visitors to ride in bumper cars on ice, a fun thing to do with the family. Skating classes are available for everyone from two and half years old and up. Hockey classes are offered as well as summer youth hockey camps. The arena can be rented for private functions. Aurum Food and Wine in downtown Steamboat Springs is an elegant restaurant with spectacular views of the Yampa River. You can ask to be seated in the comfortable and modern main dining room or on the large outdoor deck with an open fire pit and deep cushion sofas. Saddleback Ranch is a working ranch located in a valley next to Saddle Mountain, the inspiration for the ranch’s name. You will find it on Country Road #179 about 17 miles west of Steamboat Springs. The 8,000-acre ranch offers activities for everyone: ride horses and join the morning cattle drives when cattle are moved from one location to another. The Two-Hour Photo Opportunity Ride is a great way to take in the ranch’s beauty and allows guests to learn interesting facts about cattle. Visitors can go horseback riding or a ride in a horse-drawn wagon to the ranch’s Double Dollar Lodge for dinner. The ranch is also available for weddings. Truffle Pig in the One Steamboat Plaza, on the base of Mt. 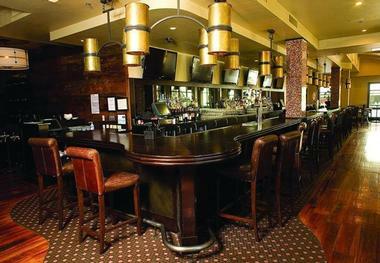 Werner is a fun, friendly place where you can eat at a table, in a booth, or at the huge bar. The restaurant has a very popular outdoor area and fantastic views of the ski slopes and the mountains, perfect for a lunch stop. The restaurant serves “American Alpine Cuisine,” and it is much more sophisticated than you would probably expect. Try Lobster crostini with avocado or Bacon-wrapped dates. They also have a great kids menu and frequently feature live entertainment. 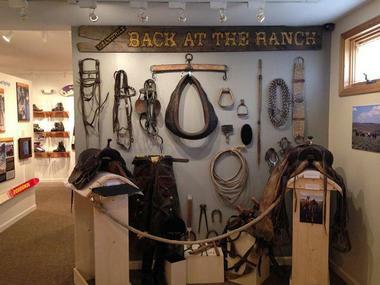 The Tread of Pioneers Museum on Oak Street is dedicated to collecting, preserving and exhibiting the history of Steamboat Springs. It is housed in a Queen Anne style Victorian house that was built in 1908. Exhibits cover topics such as the local area’s history of pioneer life, agriculture , town development, Native Americans, and mining. Grizzle-T Dog Sledding offers guests rides on dog sleds and gives them the opportunity to learn how to drive a dog sled team of Alaskan Huskies. 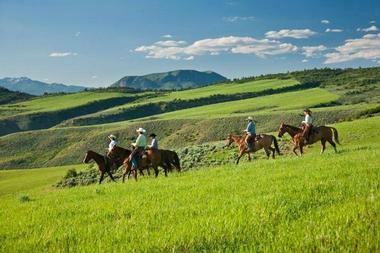 The rides take place along scenic backcountry trails through the mountainous ranch areas near Steamboat Springs. The outdoor adventure company’s guides are highly trained and experienced. The “Drive Your Own Team Tour” includes pre-ride instructions before starting on the 12.5-mile trail. 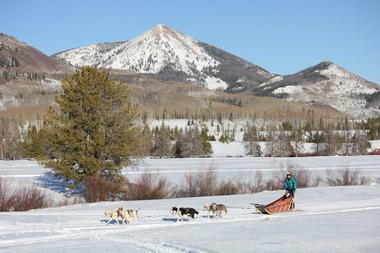 The “Guide Driven Tour” allows for two people on each sled and lasts about two hours. After the tours, guests are invited into a warm cabin for snacks and hot drinks. Grizzle-T Dog Sledding operates every day between Thanksgiving and March. More day trip & weekend ideas: 25 Best Things to Do in Denver.